Get ready to enjoy unparalleled views at these picturesque Perth bars. There's just something about rooftop bars isn't there? Maybe the altitude makes the beer taste better (scientific study pending). Or maybe we just all love being outdoors under the night sky. 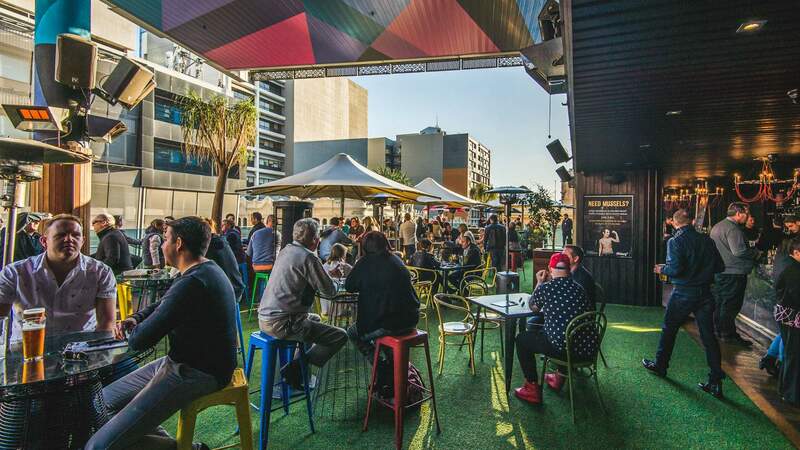 Luckily, Perth's enviable climate with its mild winters and scorching summers (it's a dry heat, we add reflexively) lends itself to a roaring rooftop trade all year round. And with wallet-saving happy hours, karaoke booths and mouth-watering bites on offer, there are more reasons than ever to scale the highest heights. To bring you a selection of our favourite rooftop haunts, we've partnered with Heineken, whose cold lagers are found on tap at some of the best spots in town. Get set to soak up the views and enjoy a few brews. In the early naughties, the bar that occupied this building had no rooftop, just a particularly sordid half-price cocktail night on a Wednesday. Thankfully those days are over — all hail the new prince. Prince Lane is an expansive, three-storey funhouse with something for every mood. 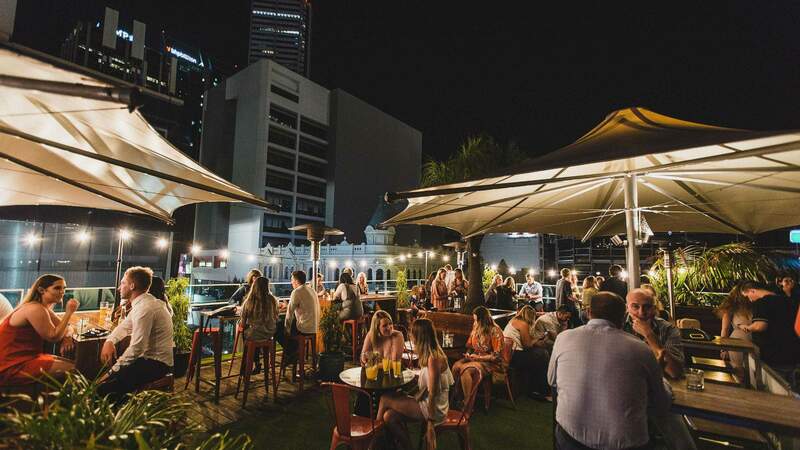 Located in the heart of Perth city on Murray Street, the rooftop bar boasts gorgeous views of the city’s skyline to enjoy, icy cold brew in hand. The rooftop is home to Fresh Prince Fridays — you’d wonder if they named the bar just so they could host this night. With $7 beers, house wine and spirits all day on Fridays, it’s the perfect spot to end the working week. Oh, and did we mention there’s a karaoke room on the rooftop? There’s a karaoke room on the rooftop. Another three-level offering. Head straight to the top floor of the Reveley Bar for a waterfront rooftop experience. 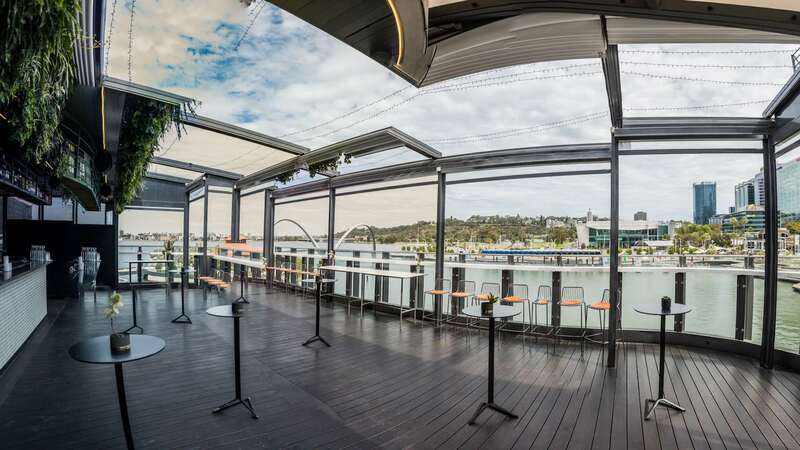 Dubbed Henry’s Rooftop, it offers sublime views across the water at the (finally) finished Elizabeth Quay. 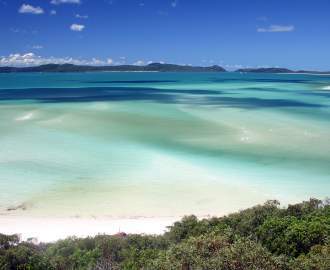 You’ll be able to watch the boats docking over a schooner or two. A fully loaded snacking menu on the roof features three kinds of cheese, oysters and olives for the fancier among us. This is balanced perfectly for the rest with pork ribs, popcorn chicken and beef brisket sliders. With the Bell Tower just across the road, this is truly the Perth experience. We recommend making your way down after work to catch the sun setting across the river. We simply couldn’t talk about rooftops in Perth without The Aviary. A pioneer of rooftop bars in Perth, the Nest Rooftop at The Aviary was one of the first places you could get a drink among the skyscrapers. 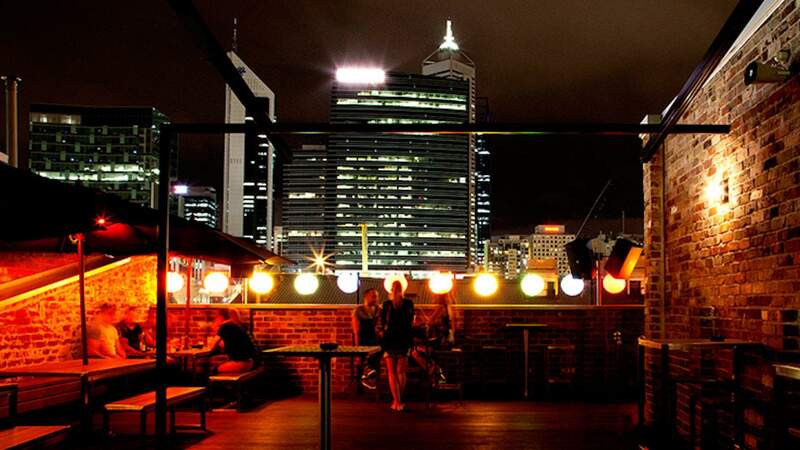 Seven years young and the largest rooftop space in WA, it’s still one of Perth’s best bars. You know it’s good when the entry is hard to find. Once you do make it upstairs, The Nest feels like a summer pool party, with daybeds, fake-it-til-you-make-it AstroTurf, sun umbrellas and a resident DJ. It’s no wonder so many bars followed suit. Settle in with a couple Heinekens while overlooking bustling Murray Street for the ultimate post-shopping reward. And when it comes to after-work drinks, The Aviary has you covered with a killer happy hour from 5-6pm Thursday and Friday. Think $8 espresso martinis, $5 schooners and $6 house wine. Didn’t know iconic gay and lesbian club Connections had a rooftop? That’s probably because you never left the dance floor (and we don’t blame you, it’s a good one). But if you can peel yourself away from the disco balls and head upstairs, you’ll find a gorgeous little brickwork terrace under the stars. 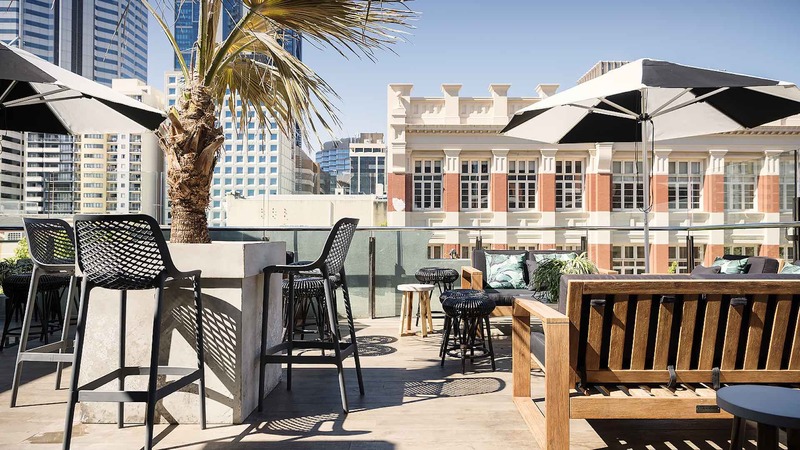 The perfect spot for some fresh air and natural light, the Connections rooftop terrace offers fabulous views of Perth’s skyline. If you run dry, make your way through the terrace’s French doors, where you’ll find the opening to the newly opened Lounge Bar. If you were going to tackle Perth’s best rooftops in order, this would be the grand finale. Plan your next night out — all you need to do is rally the troops, choose a venue and order a round of Heineken.